Nothing beats an Arizona summer road trip in your RV with close family and friends. But what do you do with your RV when the trip ends? Storing your RV is an important responsibility as an RV owner, and there are some major advantages to make sure your RV is under covered parking when it’s not in use. Arizona weather is extreme. The intense summer sun eats at the paint and, if uncovered, the interior of your RV can reach up to 140°F! This can add extra wear and tear to the look of your RV. Strong storms and other environmental occurrences can cause expensive, or even irreplaceable, damage. Our canopies block the crazy Arizona weather that can cause this. Keep your RV looking nice and pristine in covered parking. Homeowners Associations. We love ‘em and we hate ‘em. We know that every HOA is different, but most of them don't allow you to park your RV anywhere near your house. Make sure to keep an excellent reputation with your neighbors by storing it off the street. 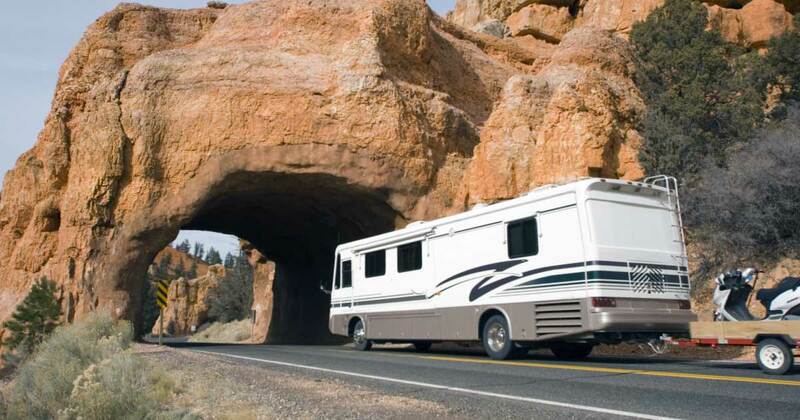 Keep your RV safe from everything else! Safe, covered parking prevents incidents like break-ins, vandalism and other types of damage. Make sure nobody can access your RV. At our gated facilities, there is an onsite manager continually overseeing the safety of your RV with good lighting and cameras for added protection and security. After a big trip, typically you just want to get home and relax! Covered RV parking gives you peace of mind that your RV is safe and protected. Our facilities even offer extended gate hours with wide aisles for easy parking. And for post-trip chores, we provide convenient dump stations and wash areas to help give a stress-free cleanup experience. We also have room for your trailer!